From our team at RE/Advantage, we would like to send everyone our warmest wishes for a happy holiday and prosperous and healthy New Year. It has been a wonderful year. In 2009, our team has seen a strong demand by REALTORS® needing assistance to attract buyers and sellers on the Internet as the housing market is starting to gain steam through many parts of the country. We have developed many new relationships with REALTORS® throughout the country. It has also been quite a learning experience with the development of so many applications to help us market ourselves on the Internet. Helping real estate boards, brokers and agents develop their marketing presence is our main focus. The result was even more than we expected. We got tons of online people viewing our live video stream and our Twitter followers increased by 20%. We also saw our blog stats double for the 3 days. Why? Well it is simple, we targeted all of our content to REALTORS® and posted them in places where we knew REALTORS would be. Since we had content that a Real Estate Professional would be interested in we built a following in 3 days. We are still seeing the residuals even today. Also this past year, our team made many new enhancements to our products like AC Max and our IDX solutions. 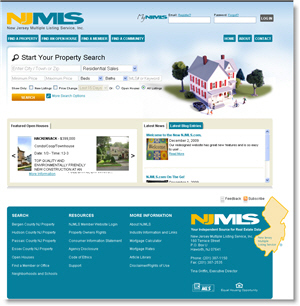 NJMLS Website: One noteworthy project was the re-design of the New Jersey Multiple Listing Service’s public website (njmls.com). RE/Advantage was chosen to completely re-write the entire website including the User Interface (UI), HTML and listing search. This was a large project and the new public website is packed with new and enhanced features such as; improved searching, Quick Search, on-the-page Refine Searching, re-designed Email Alerts, and mapping capabilities. Throughout the site, the latest design technologies were used such as AJAX and jQuery, which allowed us to include some very consumer-friendly elements, such as smart type-ahead text boxes and fresh, dynamic page layouts. In 2010 we look to focus our efforts on the development of products and services geared to the ever-growing popularity of social networking and blogging. Our goal is to make your marketing efforts fun and exciting. Our staff will keep you on the cutting-edge of technology and will make you stand out in front the competition. Hint-Hint — we are going to be doing a lot with Social Networking and are developing blogs specifically for the Real Estate market. Watch out for some great stuff with Facebook too. As we develop and enhance our products, such as AC Max, Blogging, and the use of various social networking tools, we will be releasing the information to everyone. Please also visit our blog page and follow us on twitter and Facebook as we will share many helpful hints and suggestions that will be useful to all REALTORS®. We also welcome your comments, suggestions and valuable input as it will only help our team provide the best possible solutions to help you succeed. 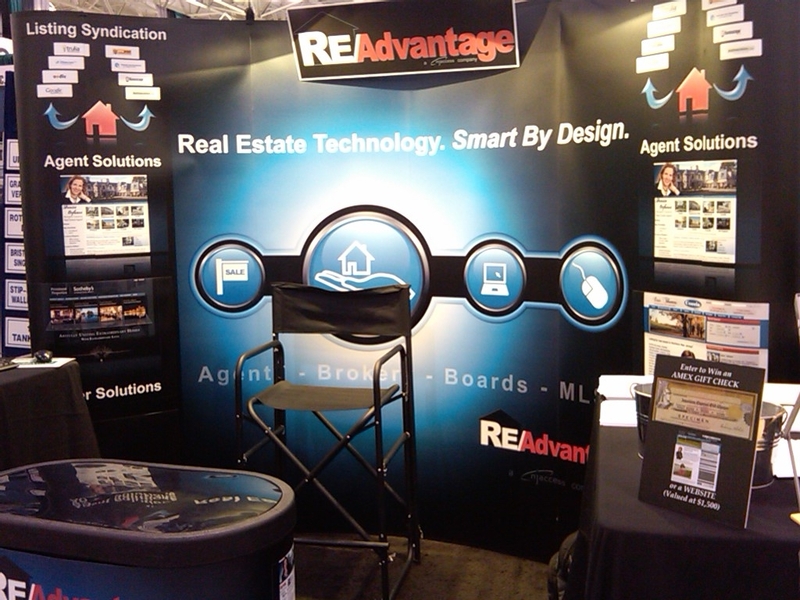 Best Wishes From Bennie, Mark, Scot, Joe, Megan and the rest of our team at RE/Advantage. RE/Advantage – As experts in Real Estate web site design and Smart Internet tools for the REALTOR®, we understand what makes Internet technology work for you and your visitors. We have been developing IDX Solutions, Websites, Internet tools and marketing strategies since 1997. We have solutions for the Agent, Broker, Enterprise, Board Office and MLS’s all custom designed for the Real Estate industry. Previous postSocial Media Optimization (SMO) – Is it the new buzz word? Great info, I have been lacking in the connection department that I could be making. Consistency is key. Write about what you like and be passionate. We are in the process of lauching some great training classes and eBooks. Do you have a blog yet, what is the URL? Realtors need this kind of information.